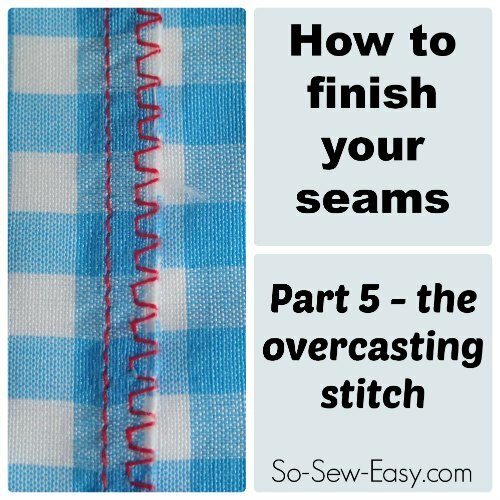 This is the part 5 of the How to finish your seams project at So Sew Easy. The overcasting stitch is one of the most versatile on your machine. The overcasting stitch can be used to finish the edge of your fabric rather like the zig-zag stitch, but often gives a much neater finish. If you don’t have a Serger and just use a regular sewing machine, this is one of the best options for sewing knit fabrics and getting a narrow finished seam similar to that you would find on a ready to wear garment. Learn how to sew an overcasting stitch and improve your sewing skills. Tagged overcasting stitch, sewing tips, sewing tutorials. Bookmark the permalink.